A number of people in the SNP have been trying to persuade me that the Scottish Government is serious about getting land reform back on track. I am prepared to accept this once I see the evidence. Meanwhile events suggest that I may have to wait some time. Take the following, for example. The Land Registration Bill is currently making its way through Parliament. It’s the first time a democratically elected Parliament in Scotland has ever had the opportunity to debate important questions around how rights in land are recorded and secured. I provided written and oral evidence in an attempt to broaden out what was a narrow and rather legalistic piece of legislation in order to incorporate some important reforms. See previous posts on topic. The Economy, Energy and Tourism Committee has been scrutinising the Bill and published its Stage 1 Report on 6 March 2012. This was followed by a debate in Parliament on 14 March. Last week, the Scottish Government responded to the Committee’s report and one item in particular caught my eye. 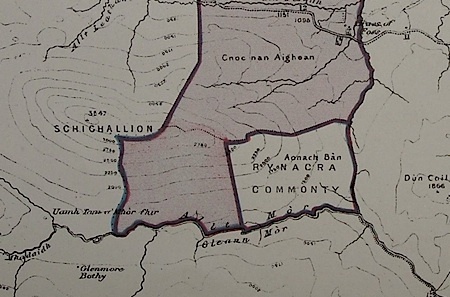 It concerns the Committee’s suggestion that the opportunity might be taken in the Bill to repeal the Division of the Commonties Act of 1695. (1) This Act was passed by the nobility as a means of dividing and appropriating Scotland’s parish commons for themselves. The introduction of feudal tenure led to the legal view that what were originally genuine commons were now the undivided common property of the landowners in the parish and the 1695 Act allowed them to be divided. The Act was simple and straightforward and was extensively used such that today only very few commonties remain undivided. The argument for repeal is unanswerable. Feudal tenure is dead and these commons should revert to their pre-feudal status. The 1695 Act was passed by a undemocratic Scots Parliament to increase the power and wealth of the nobility. So what has the Scottish Government said? Now, there is a question over whether this Bill is a legitimate place to be repealing the 1695 Act but the Government are not making that case. They are making the case in defence of continuing to allow landowners to divide common land. In other words they are defending the legitimacy of a 17th century statute designed to grab common land from the people. I find that quite astonishing. The Scottish Government should be repealing such manifestly illegitimate legislation, speaking out against land grabbing and returning what little is left of common land to the people. Instead, it is entrapped by a conservative legal establishment into legitimising corrupt laws the have no place in a modern democratic Scotland. (1) See Chapter 7 in The Poor Had No Lawyers for further details of what I term the 4th land grab. (2) para 24a in Scottish Government response.